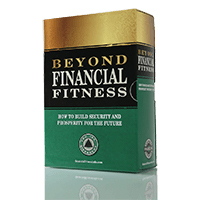 Beyond Financial Fitness is the next step of your journey towards financial freedom. This pack builds on the platform discussed in the original Financial Fitness book by teaching you how to maximize the potential of your various streams of income by properly accumulating an ever-growing portfolio of cash-flow-producing assets. Learn what money is truly for, how your greatest investment will always be yourself, how to organize your money flow into a hierarchy of assets, and how to get the power of compounding to work in your favor. Also, understand the Risk Factors working against you and how the “money game” is rigged in ways that are not in your favor. Finally, learn how to protect your gains while growing your financial security for the long term.